Yes, it happens a LOT. 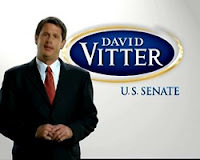 I agree with Nick Bouterie - "The Conservative Cajun" - David Vitter Should Resign. Here's the thing - you can't run as the golden boy - "Mr. Truth and Morality" all the while you are paying "call girls". It is the hypocrisy of it that is the problem here. He pillaged hundreds of thousands of dollars (likely millions over the years) from constituents that thought he was the REAL DEAL. He accused reporters of LYING about him and tarnishing their names. The bottom line is - this is a bad man, period. His political aspirations are done, there is no more for him. He is not on the fast track to the White House - in fact NOW the republican base will like RUDY better now without Vitter. I predict Vitter will resign before the end of the year. Reports are now surfacing all over that this wasn't a "ONE TIME THING" in fact we are getting reports that he was a regular many other places as well. Perhaps he will pull a "Rush Limbaugh" and go into REHAB for Sexual Addiction - either way he is damaged goods and from what I am hearing there are more folks getting ready to call for his resignation now that the French Quarter Madame has come out and admitted to having him as a regular client. You see, Vitter told his supporters FACE TO FACE that those were dirty lies about him - he gave his personal word to them that they were just trying to attack him and dirty his pristine name - HE FREAKING CAMPAIGNED ON THIS! He has many here in Acadiana completely beside themselves. Vitter should resign now - I can't imagine what his kids must be thinking and how hurt his wife must be. For a man with such high FAMILY VALUES - this is a new low to treat his family like THIS! He is done, it is all over - the question is what will he do? 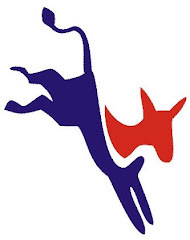 Will he do what is BEST for his family and resign NOW to spare them of all of this and allow Governor Blanco to name a TEMPORARY replacement until a special election next year for the seat - OR will he put his family through HELL for the rest of this year by keeping his position in hopes that “Bobby” will win and then resign?